Here's Why You Should Try Online Auctions | Wilson Auction & Realty Co, Ltd.
There’s a modern day joke about a person who doesn’t like going to work– she says, “I’d like a virtual office so I virtually don’t have to be there.” Ha! Interestingly, our world has changed to the point where more and more people don’t go to an office, but instead “work from home” on their own computers. Technology has made it possible for people to be connected in ways that were never possible before– even as recently as the 1980s you could not participate in something like an “online auction” because the technology wasn’t ready for that. Today, however, online auctions are the new normal. 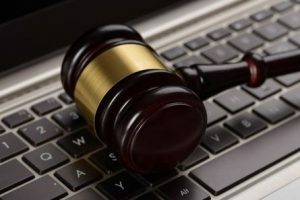 What are some benefits of online auctions? For one thing, they broaden the scope of who sees what you’re selling. In the old days, whoever showed up the day and time of your actual auction were the only ones privy to it. Nowadays, it’s almost as if the whole world is your potential bidder. For example, say you’re auctioning off some property in Ohio. Because the auction is online, it could be seen and bought rather easily by someone from far, far away. Online auctions can harness the power of targeted, effective marketing. People who make it known online that they’re interested in, say, “Ohio property for sale,” will most likely end up seeing targeted ads on their screens regarding that very thing. Things such as “SEO” and “keywords” and other Internet terms help connect people with other like-minded people– so the people you’d want to know about your auction are going to know about it. Even email helps in this regard– those interested in knowing what auctions are coming up typically get an email ahead of time. Perhaps best of all, online auctions operate in a world where trade is open 24/7/365. In other words, online auctions can take place anytime. They’re not limited to a Thursday in June at Noon. People don’t have to physically travel long distances anymore to be physically present at the auction; payment systems are set-up such that transactions can take place over the Internet. People in different time zones can just pay attention to the “time zone differences” in order to know when to bid at their right time to be in on the action of the auction. This really opens up auctions to a much bigger market than ever before. With companies like Wilson Auction & Realty Co, LTd doing online auctions, there myriad things you can purchase in online in an auction format.